You receive a package in your mailbox containing a ball of string, a poster, and a deck of postcards of the 1920 Olympic games. There's also a piece of paper with a web address on it. If you're a massive gamer, you know that you've just been invited to play an alternate reality game, or ARG. 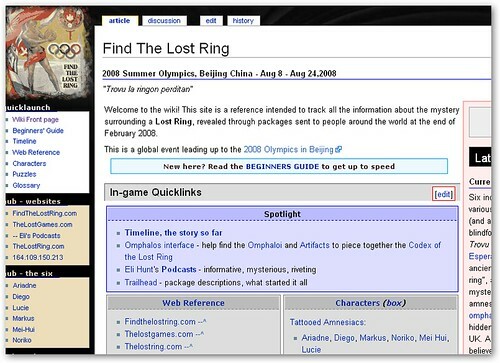 In this case, the ARG is "The Lost Ring", a game based around the upcoming Beijing Summer Olympics. Your goal is to help five people, who wake up with amnesia in Korea, Argentina, England, South Africa, and Japan, uncover a lost secret from the original Olympic Games thousands of years ago. 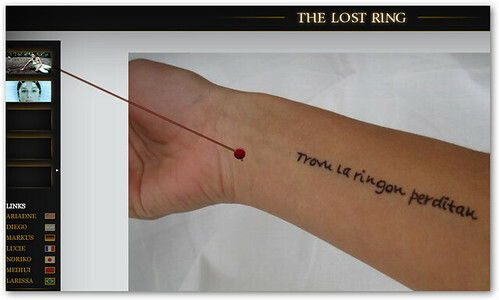 As their only clue, they each have a tattoo that reads "find the lost ring" in Esperanto.
" a game that changes people’s lives and brings the world together"
"an epic story that the whole world discovers and brings to life... a months-long adventure players will remember for the rest of their lives"
"the chance to be a part of something huge... a truly epic scale... to get to know people in 100 countries and make lifelong friends with them...."
"be a global force for fun, turnplayers into real-world superheroes... "
"fill the real world with magic... the whole world, every corner of it..."
Start here so you can watch a trailer introducing you to the ARG. 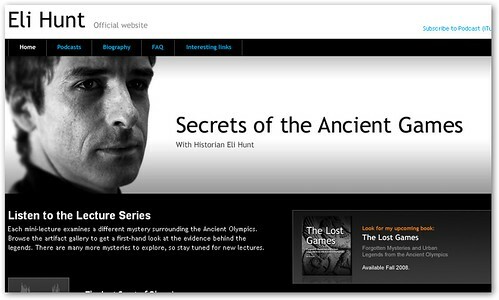 Learn more about the Olympics by watching a collection of video podcasts by Eli Hunt, author of "The Lost Games." Pick up clues by reading the blogs of the five characters in "The Lost Ring" who will be writing in eight different languages. Report your findings as well as get an update on what other players have discovered. 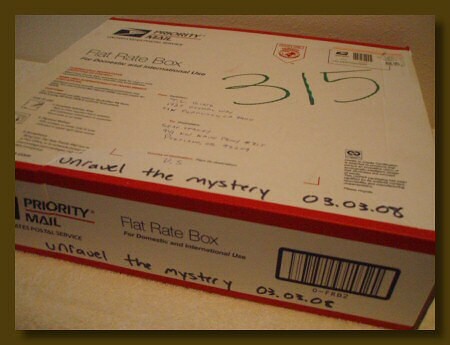 You might also want to check out the unfiction forum on "The Lost Ring."